The range is for sale in a stationary store called Paperchase, I am not sure if this store is only in UK so apologies, but I guess you can just appreciate how CUTE HE IS. 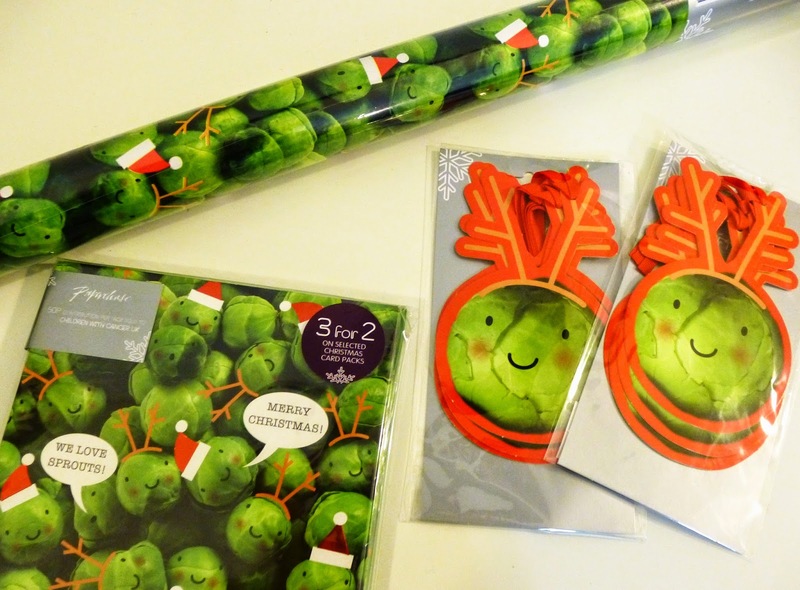 I absolutely adore Paperchase, I could definitely buy out the entire store…. Paperchase always have the most beautiful designs, graphic design heaven! But oh my, yesterday was so so unbearable in there 🙁 It is only a tiny little store, and as you can imagine at Christmas it is CRAZY! I got this pack for the people that I work with in my office, I am giving them to them tomorrow so I hope they like them 🙂 🙂 The cards are on 3 for 2, but I only needed one pack. I thought it was nice that 50p of my £3.50 purchase is given to charity. Paperchase’s chosen charity is Children with Cancer UK, a very worthy cause! I have almost completed all my present shopping, just a few bits for the boyfriend and brothers left… So…. I best get wrapping! 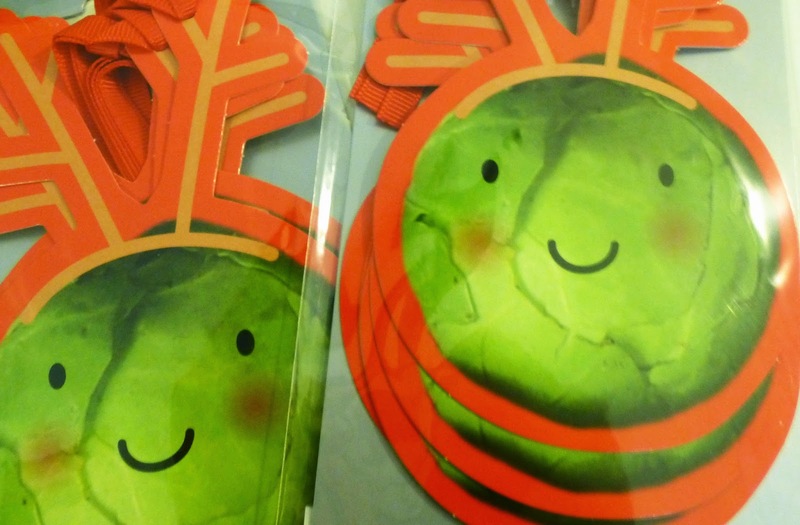 Do you like sprouts? Any Paperchase fans out there? Will you be buying your own little Steve’s? These are just so bloomin' cute!!! I love sprouts, I think they are one of the nicest veggies! What a fantastic wrapping paper idea, and I love the tags! I always enjoy using wrapping paper and cards that are more original and funny, and this definitely fits in that bracket :). I haven't seen these around so I am going to have to go into my local Paperchase before Christmas and track Steve down. 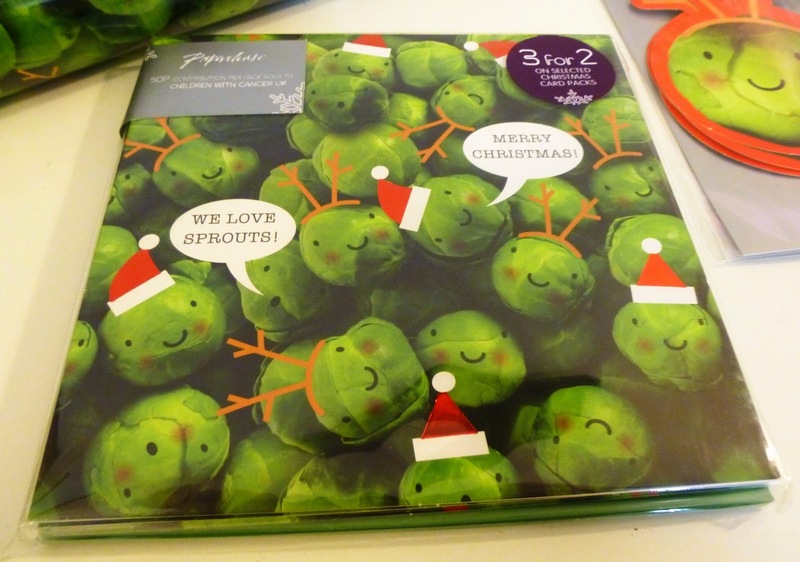 Hahaha I saw these in Paperchase and was so tempted to get them, they are so cute!! I love him!